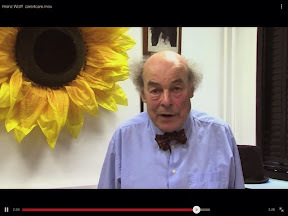 1) Because you find Prof Heinz Wolff's Care4Care.mov vision of the future stimulating and wonder how our local community could ever organise something so ambitious and mutually supportive? (Share the dialogue about this social change with friends) http://www.youtube.com/watch?v=i_MZZnJhsvI ? 2) Because you are interested in other ways to extend Good Will & Co-operation and seek kindred spirits ? 3) Just to browse or borrow from the Mind Body Spirit library? - or to discuss or play the evolving "Yes to What? The 2066 Timebanking Game" ? The full programme of monthly events is on the 1st #2066 #Timebanking leaflet, which is also available online i.e. as the Facebook cover picture on the Action for Hastings Happiness Facebook page.